The use of chemical agents to protect crops from pests or to remove pollutants from contaminated soils has been the predominant approach in the last decades. However, issues related to these unsustainable environmental practices have demanded that the industry develop alternatives based on biological sources, leading to new biocontrol and bioremediation solutions. Now, a growing number of industrial companies are using the Procelys LyCel® nutrients to produce by fermentation a wide range of biological products used as crop protection, biostimulation or bioremediation agents. LyCel® nutrients are now being used in the production of entomopathogenic nematodes to control slugs proliferation, and for the fermentation of a wide range of fungi, yeast and bacteria such as the widely-used Bacillus thuringiensis which targets insect pests such as moths, butterflies, beetles and true flies. Procelys offers its expertise through yeast-derived nitrogen sources optimized for biomass production and a wide range of yeast nutrients that meet the nutritional needs of several strains of bacteria, yeasts, fungi and nematodes involved in biocontrol , biostimulation and bioremediation solutions. The LyCel® range of yeast nutrients provides the mixture of amino acids, peptides, vitamins and essential elements required to optimize growth and productivity of various organisms in cost-effective conditions. 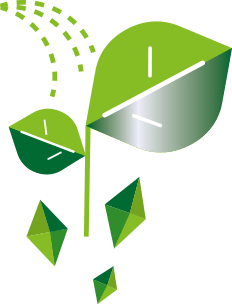 Our LyCel® nutrients are naturally designed and engineered to deliver performance that adds value to the biocontrol and bioremediation industries, by maximizing plant efficiency and profitability and enabling a more sustainable future.